Australia managed a clean sweep last time they played Pakistan in the Test arena, but it is a new-look squad that heads to the United Arab Emirates in October 2018. Can the Aussies salute without their big guns, or will we see another disappointing performance in the Middle East? 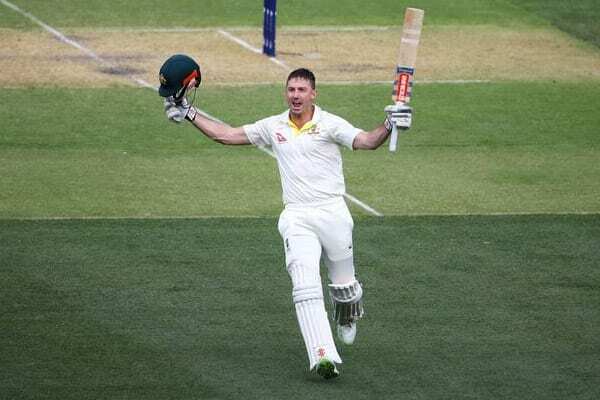 Top Australian bookmakers will have hundreds of betting markets running throughout the Pakistan Test series, spanning everything from series futures to match bets to innings-by-innings exotics. We at BettingSite.com.au only recommend cricket betting sites that are licensed in Australia, and which meet the highest security and regulatory standards while offering competitive odds and great bonuses. Click or tap on the sites listed above to check out the Test cricket specials available right now. Australia are without the suspended Steve Smith, David Warner and Cam Bancroft, while star seamers Josh Hazlewood and Pat Cummins are out injured. Glenn Maxwell is another notable absentee in a squad that features the recalled Peter Siddle and new faces Aaron Finch, Travis Head, Marnus Labuschagne, Brendan Doggett and Michael Neser. Pakistan have made a few changes of their own since the 2016/17 tour of Australia, with Sarfraz Ahmed leading in all formats now that old heads Misbah-ul-Haq and Younis Khan have retired. Shaun Marsh – Derided by the Aussie public for so much of his career, the elder of the Marsh brothers is just about the first name on the team sheet right now. He can bat anywhere in the top six, which may come in handy with three of the usual top four unavailable, but it would be a big surprise if coach Justin Langer and stand-in skipper Tim Paine selected the elegant lefty anywhere but the now-vacant slot at number four. Imam-ul-Haq – After a trio of classy one-day centuries against Zimbabwe in July, there is no doubt this guy is the new rising star of Pakistani cricket. The 22-year-old has played only three Test matches to date, but his timing and technique were on display when he stroked 74 not out on debut in Ireland. Against a weakened Aussie attack, this could be the perfect opportunity for Imam and the similarly gifted Babar Azam to break through in the five-day game. Peter Siddle – This might be the most divisive of Australia’s selection surprises. Siddle’s record at this level is hard to fault, but it is now more than two years since the last of his 62 Test appearances. At 34 years of age, can he still charge in and hit the crease with the same vigour as he did at his peak? Sans Hazlewood and Cummins, the Victorian veteran’s staying power could prove the difference – one way or another. Yasir Shah – Pakistan missed their trusty leg-spinner for the tour of England and Ireland earlier this year. He returned for the last couple of ODI games against Zimbabwe and, with some domestic cricket under his belt, should be fit and firing for the Aussies. Yasir was part of the spin brigade that dominated when Australia last visited the UAE, so he should fancy his chances against a touring side that is missing some big names. Australia 429 and 202/9 dec.
Australia 8/517 dec. and 8/315 dec.
Pakistan 196 and 9/353 dec.
Australia 223 and 8/312 dec.
Australia 5/454 dec. and 8/225 dec.
Australia 538/8 dec. and 241/2 dec.
What are the best bookies for T20 cricket betting? Sportsbet has revived its popular 24 Up special for the 2018 AFL Premiership season. Ladbrokes is running enhanced odds and special payouts for round one of AFL 2018. We bring you the best bookie specials, bonus offers and promotions for the week ahead in sport. Punters get another crack at Sportsbet's NRL 12 Up special after winning $970k in early payouts.